Follow these helpful tips to ensure the transport of your Caravan or Motorhome is a smooth and easy process. 3-step process, costs and key tips. 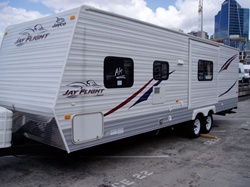 Shipping a caravan or motorhome to New Zealand? 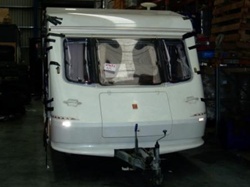 Shipping a caravan or motorhome from New Zealand? For over 20 years McCullough has invested their expertise and heart into making caravan and motorhome shipping for you as simple as 1-2-3. 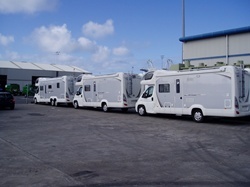 We’ll ship, Customs and MAF clear your caravan or motorhome for you anytime, anywhere. Get your free quote now. It’s that simple. International shipping prices vary depending on commodity, load discharge port and cubic measurement of your caravan or motorhome.For pricing please provide us with the length, width, height, make and model of the caravan or motorhome. The more information you give us, the better we can assess your needs, the best mode of shipping and the cheapest price for you. Ensure that you thoroughly clean inside and out, paying particular attention to wheel arches and awnings of your caravan or motor home. a. MAF will be looking for dirt, leaves and plant material. a. Either lock them inside or courier them to your delivery point. We recommend you take up Marine Insurance (we offer comprehensive insurance packages that cover origin pickup to destination drop off). We now have a fully complied Swift Motorhome parked at home – and my wife is thrilled! First off a big thanks to you guys at McCullough for all your help and support. The shipping was the easiest part and it was only because you had the experience and came across so approachable and confident that I gave importing a go. And as a measure of success – your estimation of landed cost (including GST, duty, freight etc – but not including compliance or registration) was $117,840 and it actually cost me $117,761. It doesn’t get any closer than that given we are also dealing with the vagaries of exchange rates in the mix. You guys are good! Then of course there was my compliance gaff – particularly the lack of ESC. All I can say is the guys at VINZ were brilliant. But all’s well that ends well. And I am so appreciative of the extra support you gave me through the compliance process – even though you really had no obligation to do that. Above and beyond the call of duty.